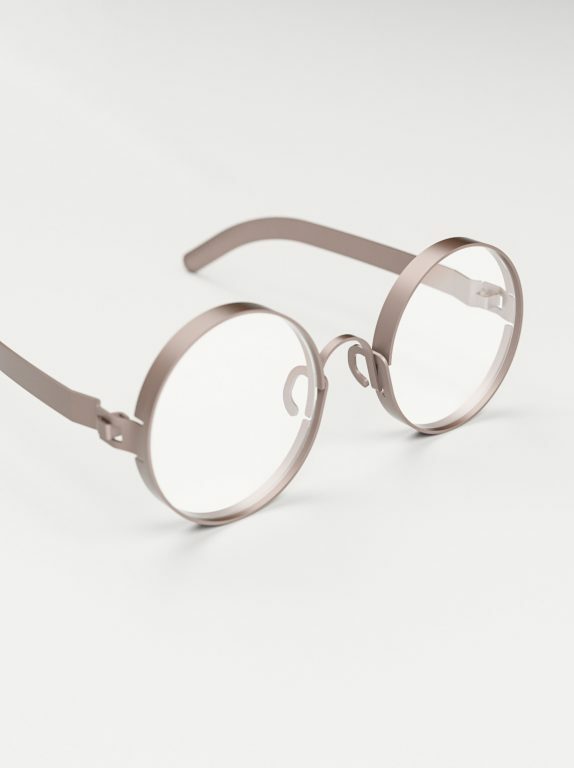 Sun Frames and Optical Frames are such small objects where so many things have to happen: convenient ergonomy respecting nose size and distances between the eyes and ears; a proper CMF respecting durability, skin contact and – of course – style issues. No wonder there is so little space for invention. 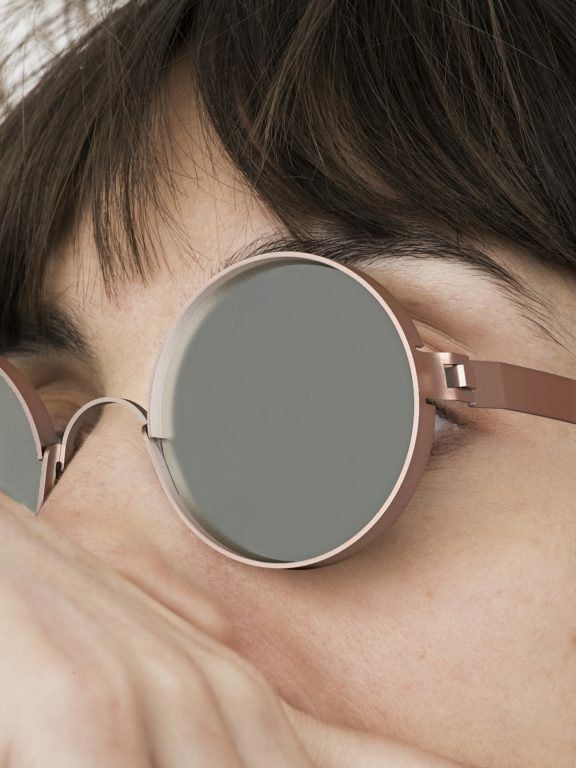 Regarding the way eyewear brands are working, there is very little happening concerning innovation. Most of them actually look into the past to rediscover “new” shapes, materials and accessories. 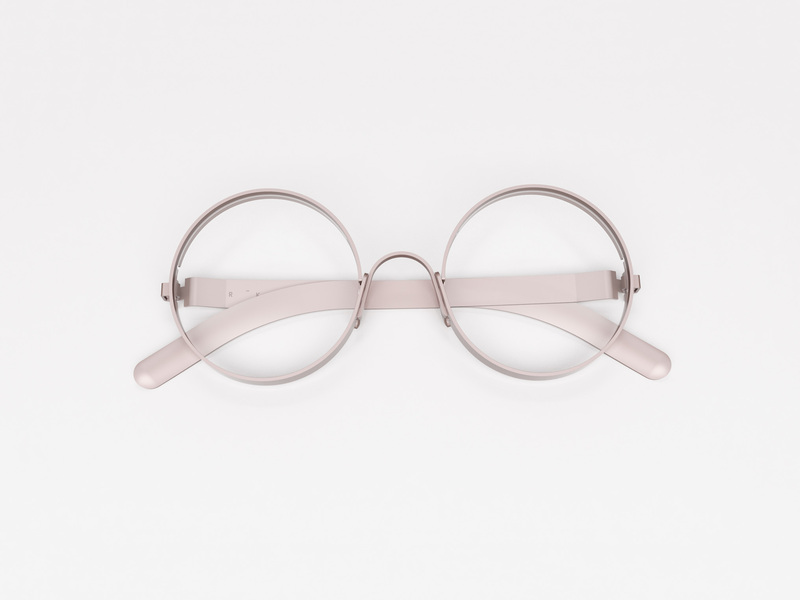 Maybe the last significant innovation that happened was the introduction of sheet metal for the frame construction and here MYKITA is the most interesting brand to watch, although not the first one doing it. Following a similar principal to origami, they bend and fold the sheet metal in a way it becomes a three-dimensional object. Also something that make us enjoy so much this brand from a design point of view is their fundamental principle; “the technical solution must at the same time be an aesthetic one”. We thought about a way which could lead to more sunglasses per sheet metal: instead of laser cutting the front shape, as it normally happens in sheet metal or cellulose acetate we thought about laser cut the frame as metal bands and later to shape it with a process similar to the one used in wire frames, using no screw or welding. Here, too, the technical solution is at the same time an aesthetic one; its iconic shape comes from the production process. 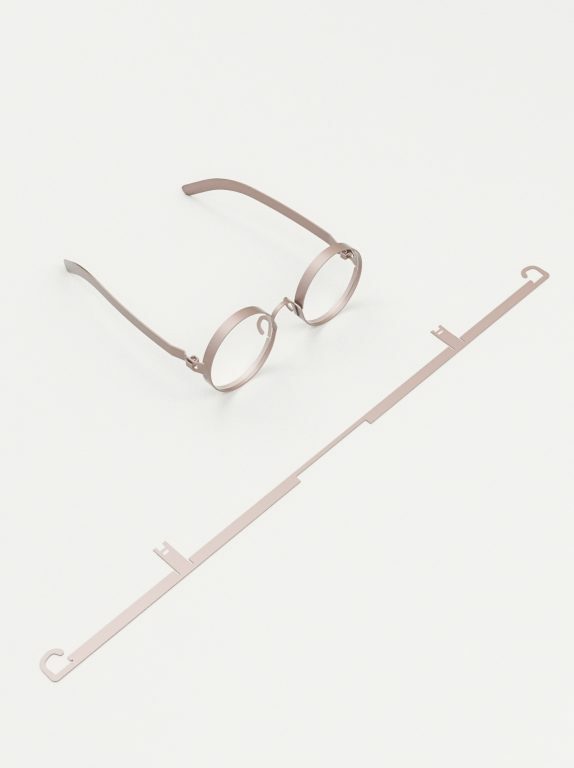 FRAME is still a concept at the date and the hinge here represented is not our design but a patented solution by MYKITA.